The lecture notes of this course (in French) have been published by Springer in the series "Mathématiques et Applications", volume 58, 2007, 280 p., 91 illus., ISBN-10: 3-540-36710-1, ISBN-13: 978-3-540-36710-9. 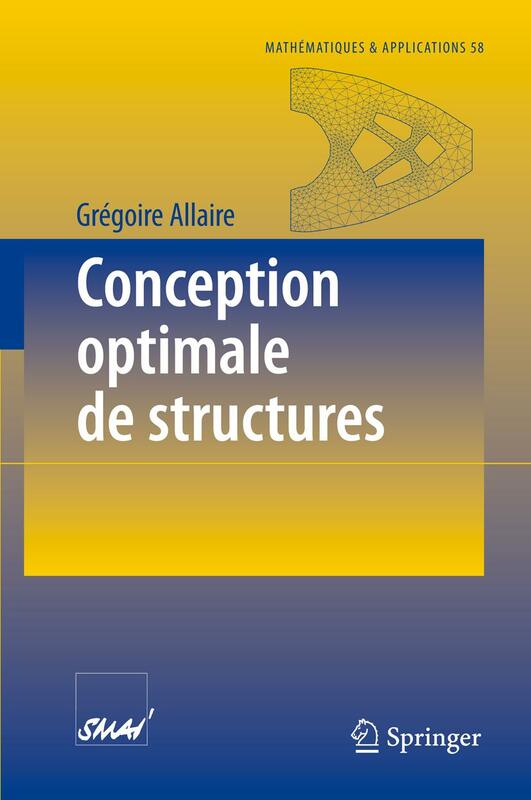 Students following this course can borrow the textbook "Conception optimale des structures" at the library of Ecole Polytechnique. The course will be taught in English. The course will take place every Wednesday afternoon. During 4 hours there will be a mix of lectures, exercises, numerical examples and personal projects. Imporant The students will be asked to bring their computer with the FreeFem++ software installed. The evaluation and final mark will mainly depend on the work delivered by the students during the classes. To upload their scripts they have to register online. Note that only the students of the course are authorized to register. The purpose of this course is to provide the basis of mathematical models and numerical algorithms for the optimal design of structures. Thanks to the enormous progress in mechanical modelling, numerical analysis and above all computer power in recent decades, it is nowadays relatively easy to design a structure (for example, a bridge, an aeroplane wing, a car body, etc.) by carrying out simulations and calculations on a computer. Nevertheless, during the design of a new structure one is frequently asked to try different possibilities and to modify them in order to improve them. This could turn out to be a very tedious task if it was done entirely by hand and if it relied solely on the designer's intuition. This is why it is necessary to develop automatic optimization methods for structures. This course focuses on the mathematical methods and numerical algorithms which are the keys to the automatic computerized process of shape optimization. It is not intended to develop the heuristic and mechanical intuitions used for a "trial and error" approach of optimal design. The reader may find many numerical examples (pictures, movies, programs), as well as many links on web sites dedicated to optimal design (including commercial softwares which are a testimony of its industrial impact), on the web page of the optimal design group at Ecole Polytechnique. For students who do not feel comfortable with English, here is a little glossary with French translations. Try a shape optimization toolbox written for the Freefem++ software.